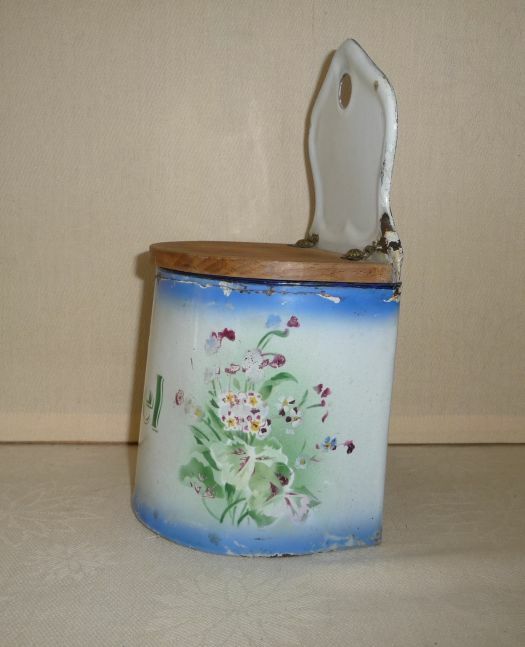 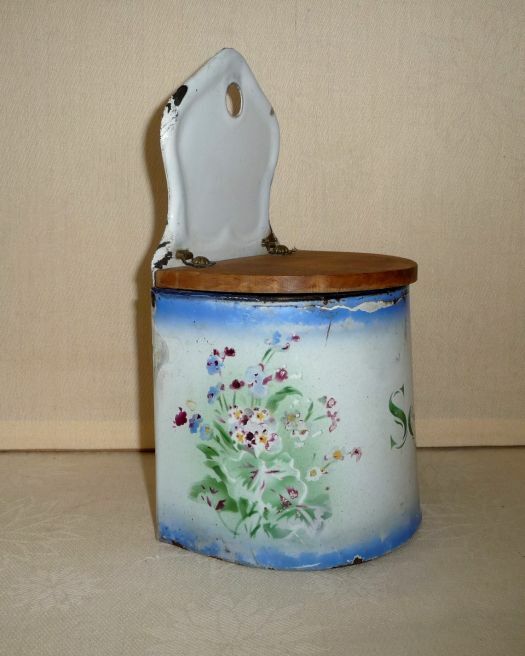 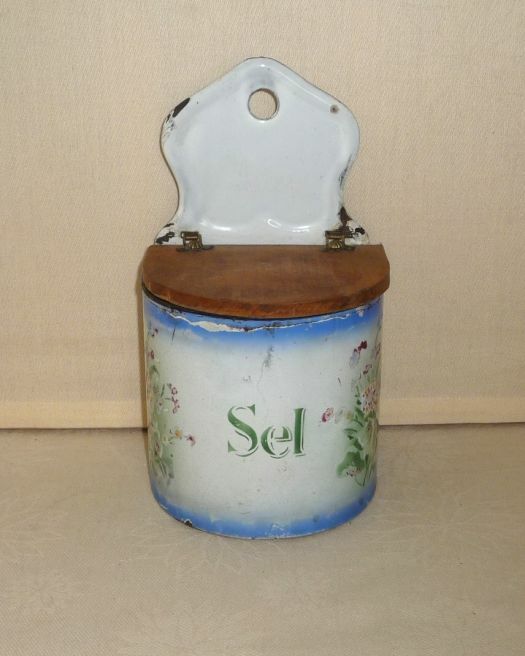 Nice salt box with floral pattern, with medium condition, but it remains a nice model. 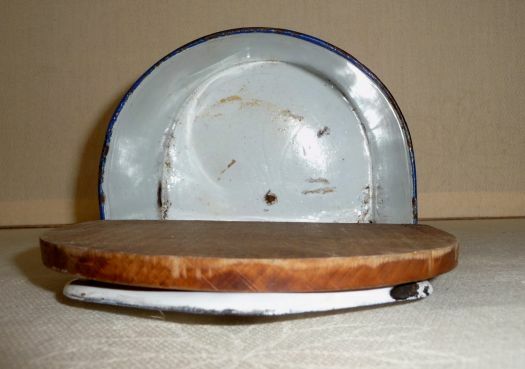 It has been bumped and there is a lack of enamel at the top, just under the lid. 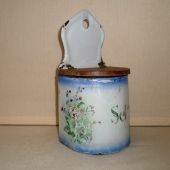 Some other pictures are available.